On Wednesday, 15 February 2017, a group of Year 10 students, accompanied by Miss Lazkin and Mr Kirby, were given the opportunity to take part in the Leadership Day held at Marie Bashir Public School. 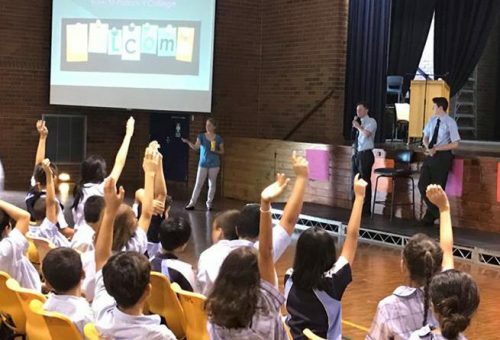 The day provided students with a different outlook on what defines a ‘leader’ as they listened to the different ideas of the younger students, something they may not often get the chance to do. Students were involved in various team building activities and challenges, such as the egg drop, in which they provided assistance to young leaders of all ages and shared some of their knowledge with them. The primary students also heard engaging talks given by Year 12 Prefects Drew Beacom and Eoin O’Sullivan who raised some important points about global responsibilities and various humanitarian issues.